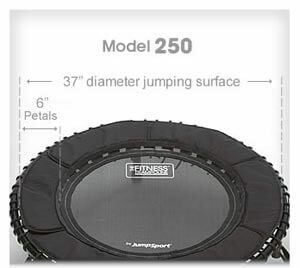 JumpSport 250 mini trampoline is non-folding trampoline very similar to other models of JumpSport mini trampolines. 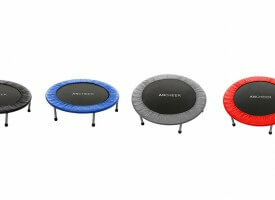 As all mini trampolines from JumpSport`s family, model 250 is strong & quiet trampoline but with some specific features when compared to other. 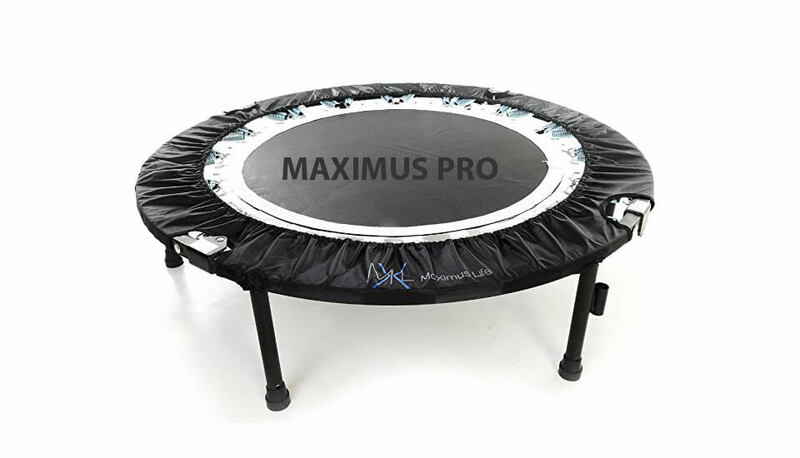 As it is mostly used in gym`s, and it is considered as economical version of pro trampolines for every person interested in serious training, you can be very sure of it`s quality. 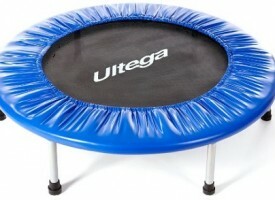 Only thing you should consider if thinking buying this particular model is it`s size – 40″ or 3.3 ft. 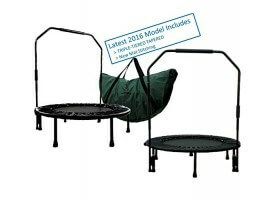 If you plan to spend a lot of time on it then you should perhaps think about bigger brother – JumpSport Model 350 or even their current flagship, Model 570 PRO. 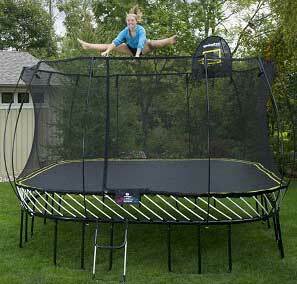 Below are specifications of JumpSport 250 as well as comparison with their other models! JumpSport 250 is 3.3 foot (40-inches) mini trampoline which features 3 ft. (37-inches) of usable jumping area (in diameter). 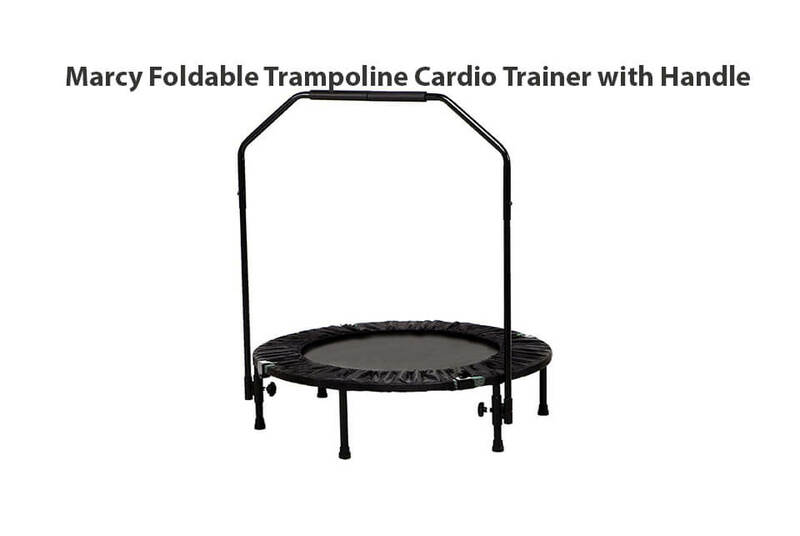 It`s frame and legs are made of high quality steel which helps to keep this trampoline super stable, partly thanks to 6 pieces of JumpSport`s arched legs, allowing you much wider range of exercises than on normal, low-cost mini trampolines. 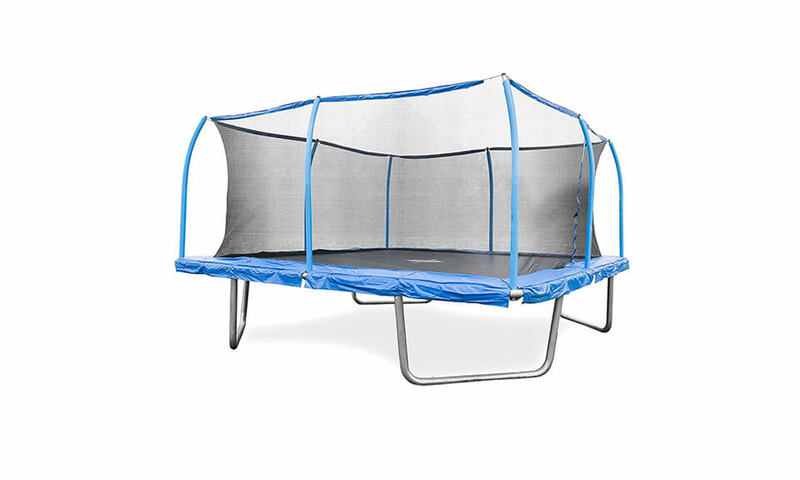 Frame itself is made from 16-gauge steel. 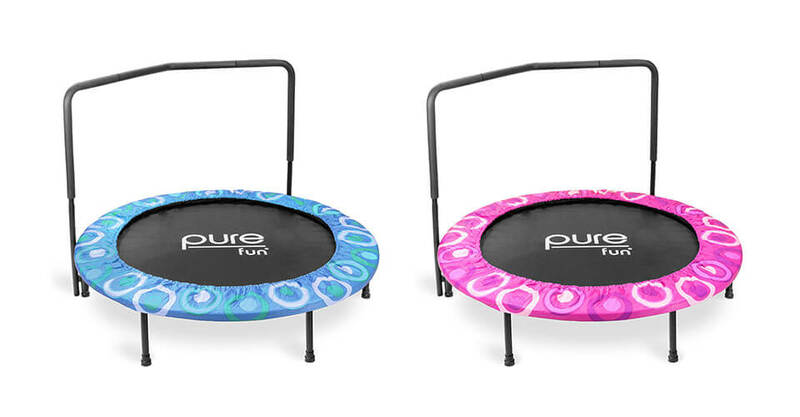 The bounce is very soft and smooth, allowing you to exercise much longer periods of time. 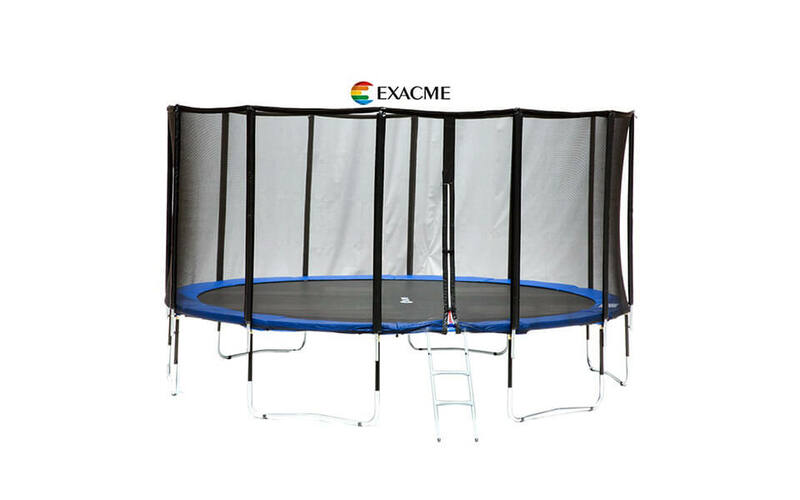 This is because this trampoline uses 30 elastic cords called EnduroLast2 which are tested and guarantee 1 million jumps without any problems. 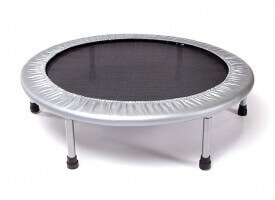 Also, mat is made from material called Permatron which is top choice for all pro & semi-pro rebounders. 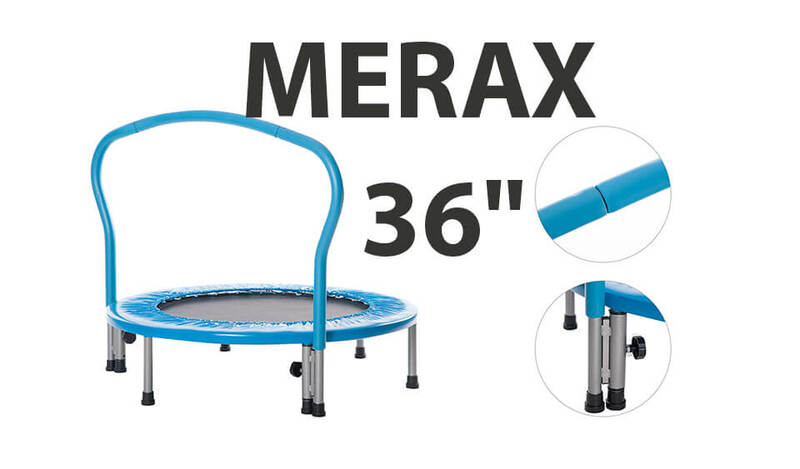 Be aware that mat made from Permatron will not stretch so there is no worries about throwing you of balance during stronger workout sessions. 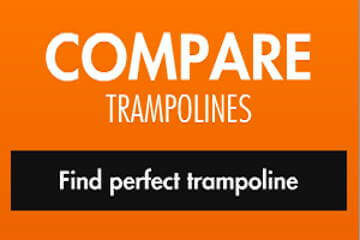 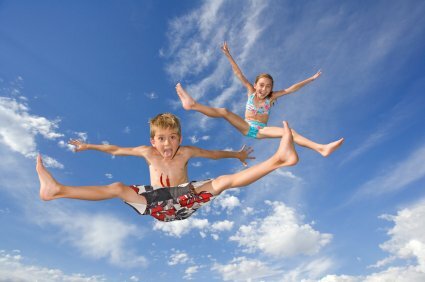 When those two are combined you get very good results – trampoline which is super strong and very quiet. 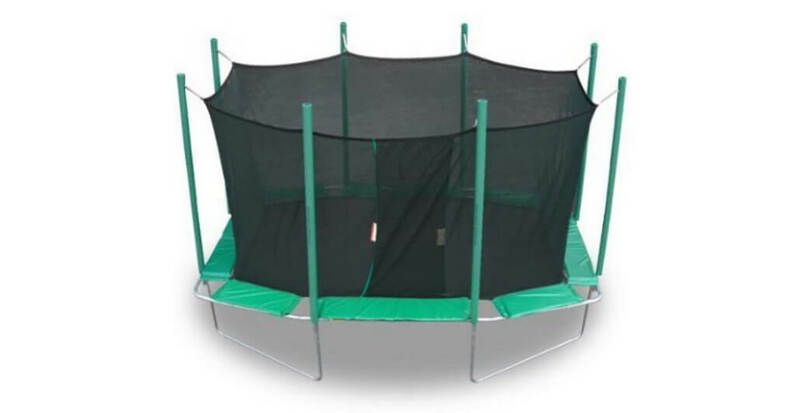 JumpSport offers long periods of fully covered warranty, and it is different for most parts – steel frame and steel legs come with lifetime warranty, mat has 5 years of warranty, elastic cords (springs) 2 years and all other components 1 year. 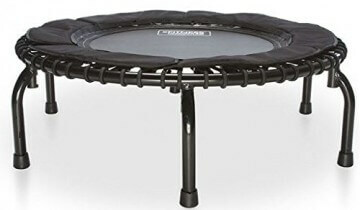 If you want a great and reliable mini trampoline that is safe, easy on your body, and lastly - quiet, but without huge jumping surface, then JumpSport model 250 is for you!